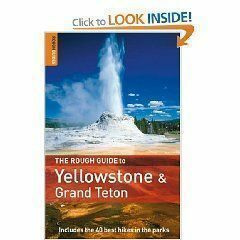 Experience Yellowstone and Grand Tetons through this great and informational guide book. What would you give for the chance to lock eyes with the prowling gray wolves of Yellowstone? If you can’t get there in person anytime soon, your first plan of action would be to read this brand new guide, which includes the 40 best hikes in the parks, good restaurants and the hotel accommodations necessary to make your trip a success. Broken down into seven informative sections including travel essentials, day hikes, personal safety and enough history to make you feel right at home upon your arrival. Relax, unwind and take a deep breath, while this pocket guide covers the trying details of travel-hopping all in one pleasurable read.